Featuring a gold shimmer suit with cowl drape. 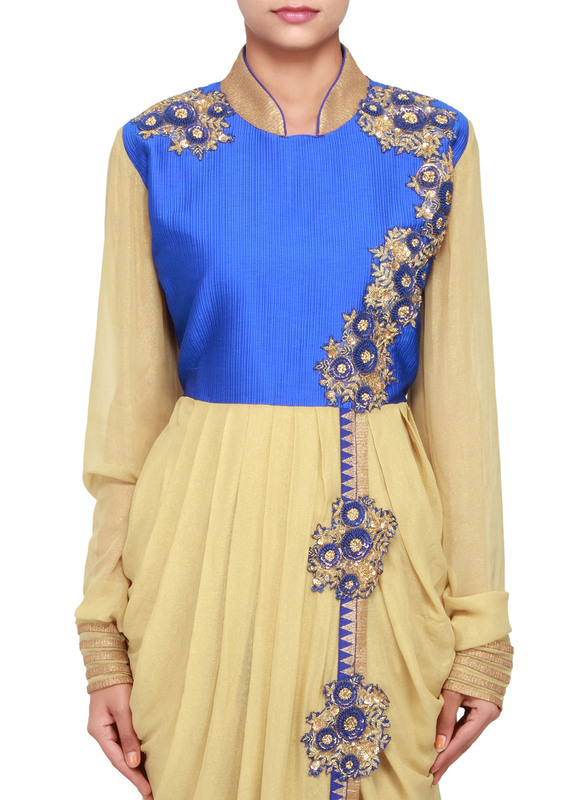 Bodice in royal blue cordroy embellished in patch embroidery. 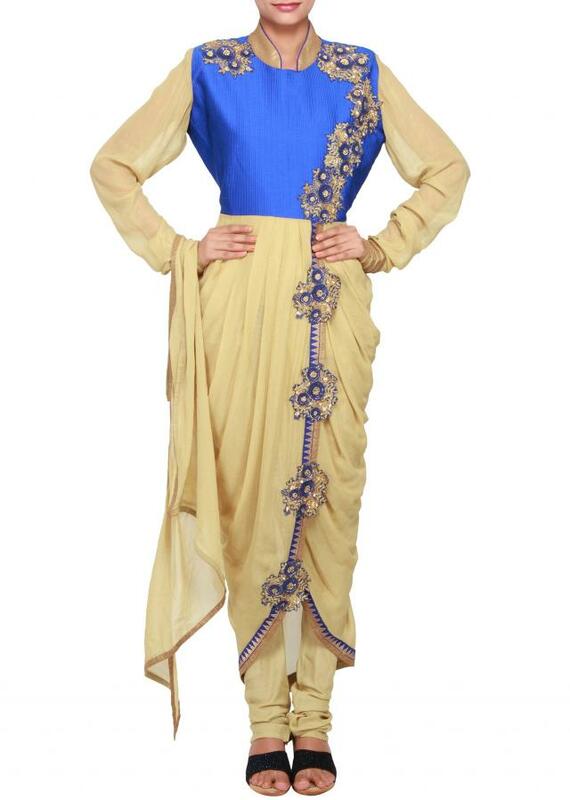 It has churidaar sleeves in gold shimmer. Neckline has chinese collar in gold. It comes with gold shimmer scarf and churidaar.